The Buick Riviera is a personal luxury car produced by Buick from 1963 to 1999. GM's first entry into that prestige niche, the Riviera was highly praised by automotive journalists upon its high-profile debut. While early models stayed close to the original form, subsequent generations varied substantially over the Riviera's thirty-year lifespan. In all, 1,127,261 were produced. The Riviera name had been used by Buick since the early 1950s for various prestige versions of existing models, with the 1962 iteration being a large six-window hardtop version of the top-of-the-line Electra 225. The crisply styled 1963 E-body design was Buick's first ground-up Riviera model. 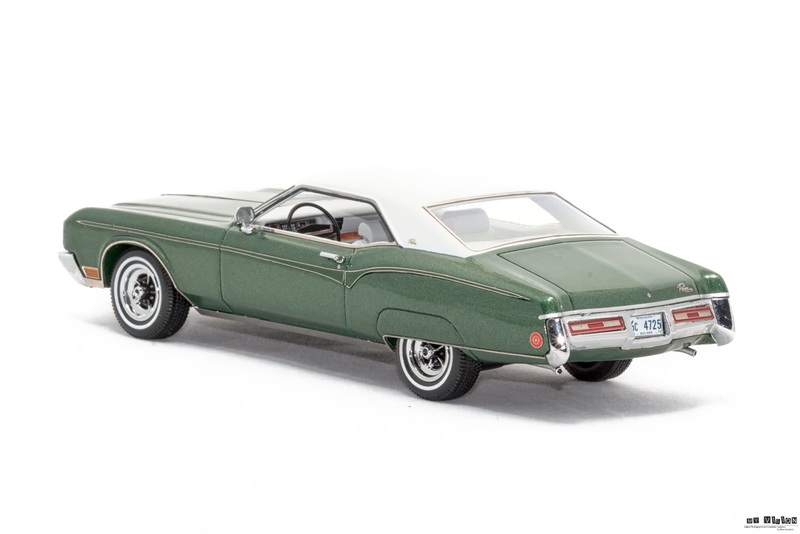 The Riviera name was resurrected for concept cars displayed at auto shows in 2007 and 2013 in hopes of reintroducing the marque, but no plans to do so are currently in place. Unlike its contemporary GM E platform stablemates, the Oldsmobile Toronado and Cadillac Eldorado, the Riviera was initially a standard front engine/rear-wheel drive platform, only becoming front wheel drive starting in 1979 as part of a sweeping move in that direction by the American automobile industry. The Riviera was redesigned for the 1966 model year. It retained its cruciform X-frame, powertrain, and brakes, but it wore a longer, wider, more curvaceous body that modernized the "sweepspear" inspired beltline introduced in the previous generation. This generation shared its platform with the Oldsmobile Toronado, and, a year later, with the Cadillac Eldorado. A notable styling point was the absence of vent windows, a feature GM had introduced with a flourish in the 1930s. Headlamps remained concealed, but they now pivoted up above the grille when not in use. Unlike the Toronado and Eldorado, the Riviera retained a conventional rear wheel drive layout. It was now some 200 pounds (91 kg) heavier, so acceleration with the unchanged 425 engine was slightly slower. The Gran Sport package remained available as an option. Rear seat belts and AM/FM radio were optional. 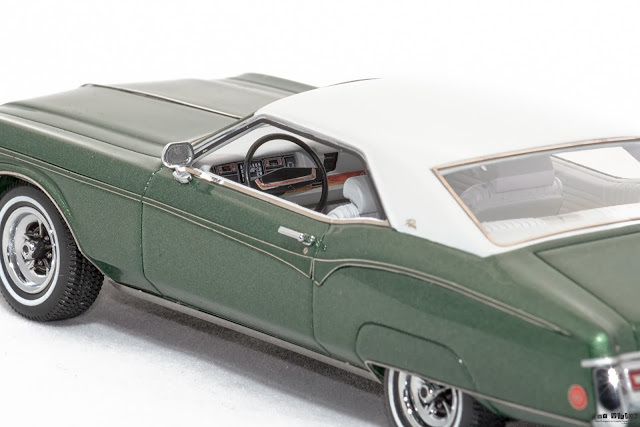 Inside, the four-place cabin with front and rear bucket seats and center console was replaced by a choice of bucket seats or conventional bench seats as standard equipment, making the Riviera a full six-passenger car for the first time. Optionally available was a Strato-bench seat with armrest or Strato bucket seats with either a short consolette or a full-length operating console with a "horseshoe" shaped floor shifter and storage compartment. Both the buckets and Strato-bench seat were available with a reclining seat option for the passenger's side. Sales for 1966 rebounded to 45,308, a new record. The most significant change for 1967 was the adoption of Buick's entirely new V8 of 430 cu in (7.0 L) displacement, 360 horsepower (270 kW) and 475 lb·ft (644 N·m) of torque to replace the old 425 "nailhead". The new engine, with greater power and torque on hand, represented a significant performance improvement. Gasoline mileage improved slightly with the new engine, though it remained gas-thirsty compared to modern cars. 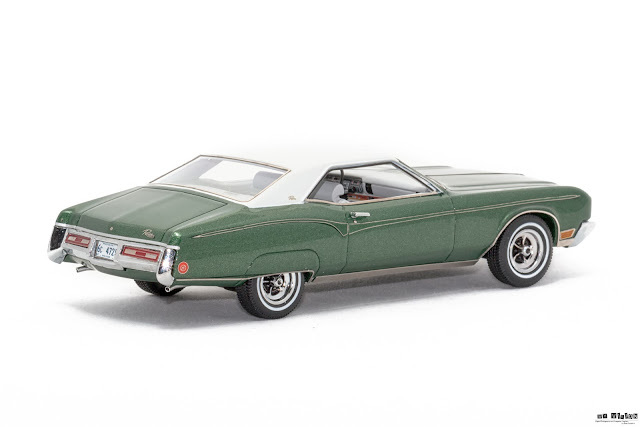 Powerful disc brakes with Bendix four-piston calipers became optional for the front wheels but most Riviera continued to be ordered with Buick's aluminum brake drums which were almost as good. Cosmetically, changes were few, and were limited to the addition of a wide, full-width, center-mounted horizontal chrome grille bar that stretched over the headlight doors and outboard parking lights. Sales eased to 42,799 for the 1967 model year. The Riviera had full instrumentation. 1967 saw the introduction of U.S. mandated safety equipment to improve occupant protection during a crash, including an energy-absorbing steering column, non-protruding control knobs, 4-way hazard flasher, soft interior surfaces, locking seat backs (on 2-door models), a dual-circuit hydraulic braking system (with warning light), and shoulder belt anchors. The Rivieras complied on all counts and featured the full range of safety features. 1968 models had reshaped front and rear loop-type bumpers that encased the vehicle's (recessed crosshatch) grille and tail lamps, respectively. Hidden wiper arms were also new. Federally mandated side marker lights were of an inverted trapezoidal shape on the lower leading edges of the front fenders. Rear marker lights were circular. The interior was restyled and, unlike the 1966–67 models, shared its instrument panel with the other full-size Buick models. Shoulder belts for front outboard occupants were made standard on all cars built from January 1, 1968. There were very few mechanical changes in 1968, but the transmission lost its variable pitch torque converter. A tilt steering wheel was standard. Sales set another new record in 1968, as 49,284 units were sold. For 1969, minor styling changes took place. Grilles changed from the crosshatch pattern seen in 1968 to a pattern of finely spaced, slim vertical bars overlaid by two wider horizontal bars, which jutted forward at their inboard edges. Front marker lights became far shorter, and square in shape. Inside, front outboard passengers received new headrests. 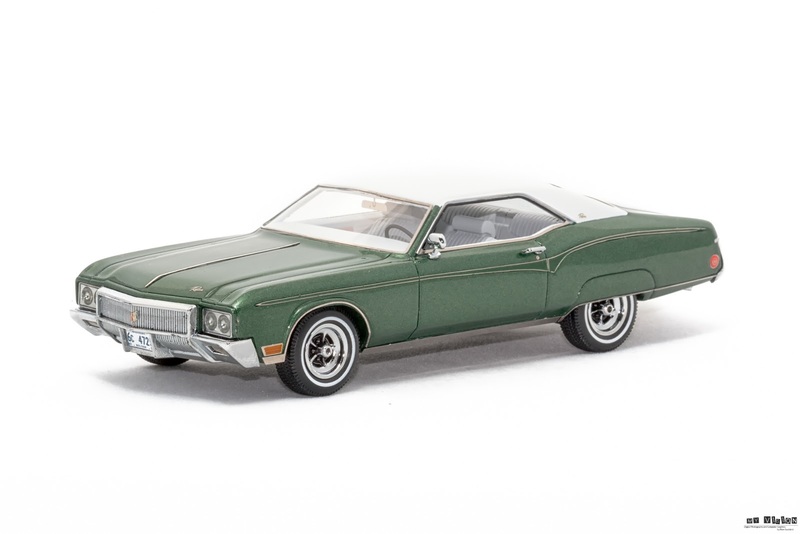 The ignition switch was moved from the instrument panel to the steering column, and it now locked the steering wheel and selector lever when the key was removed (a security feature which became mandatory for the 1970 model year). Chrome side trim was revised, as well. 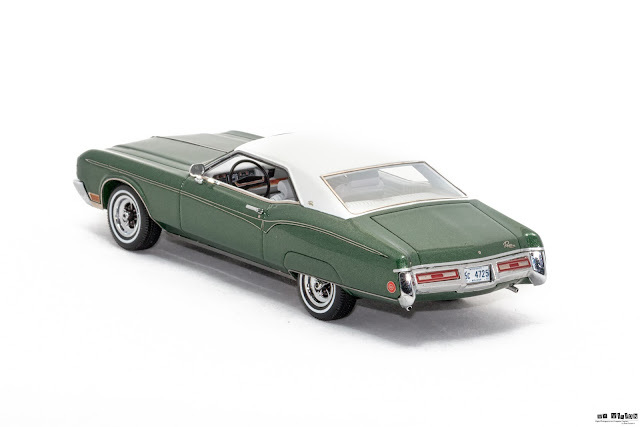 At the rear, the reverse lights were move from the rear bumper into the 1969 Riviera's new three-section tail-light lenses. Sales for 1969 improved again, to 52,872. A new front suspension system was used. 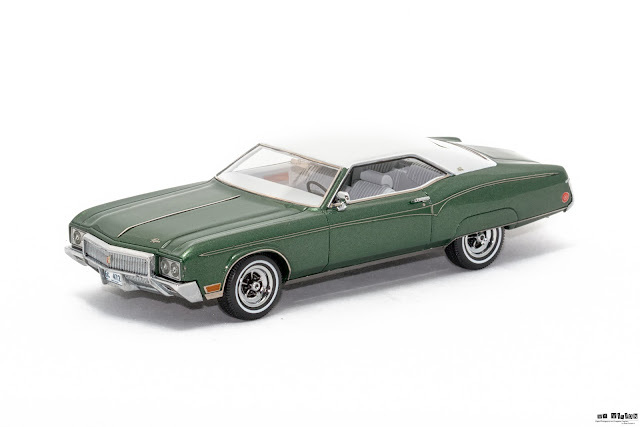 The 1970 Riviera was restyled. Exposed quad headlamps were nearly flush-mounted, while the new front bumper wrapped around and over the new vertical bar grille, set between the headlamp pods. A newly optional side trim feature accented the large coupe's flowing lines. Skirted rear wheels became standard, with exposed wheels an option. At the rear, a new rear bumper/taillight motif was seen. The engine was upgraded to 455 cu in (7.46 L), the largest engine Buick offered to date, rated at 370 horsepower (280 kW) gross, 245 hp (183 kW) net, and over 500 lb·ft (680 N·m) of torque. 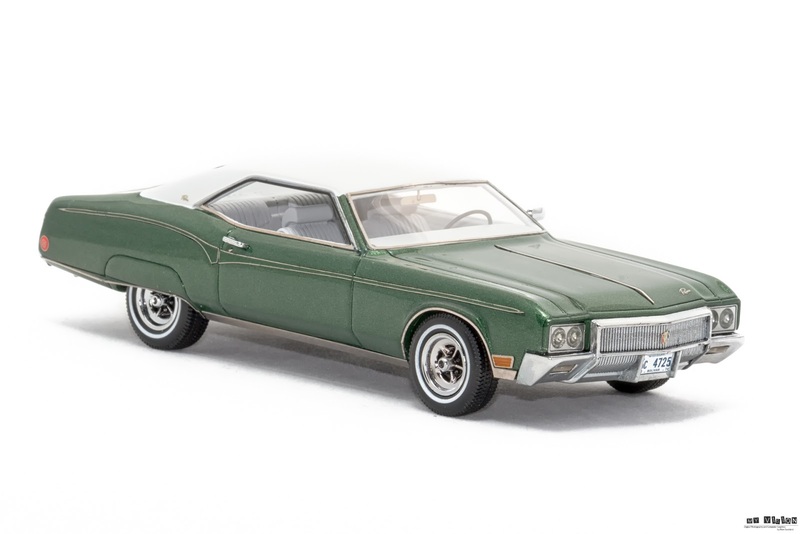 Despite the fact that 1970 sales dropped to 37,366, the second-generation Riviera proved more successful than the first, with 227,669 units sold over five seasons.